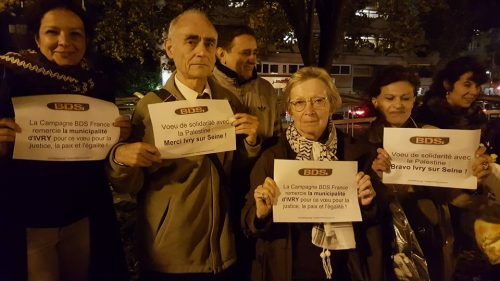 The BDS France Campaign congratulates the Town Council of Ivry which on 20 October adopted, by a large majority, a motion put forward by the Ivry Citizens Convergence group. 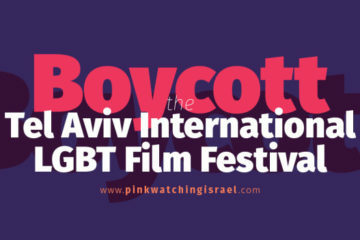 The right to not acquire or distribute products that are not in compliance with international law, like those produced in the illegal Israeli colonies, along with the right to not establish contracts with firms that flout international law through their activities in the Israeli colonies. 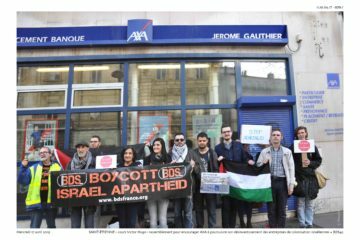 It denounces the criminalisation of the BDS movement in France and demands “the withdrawal of the Alliot-Marie and Mercier circulars, which infringe on the freedom of speech by calling for the prosecution and conviction of those who defend international law and call upon consumers to exercise their freedom of conscience”. This motion follows similar initiatives in other countries, and the motion previously adopted by the Town Council of Bondy in France. In Spain, several cities and provinces have declared themselves to be “Israeli-apartheid-free” zones. In Great Britain, the Supreme Court has declared its opposition to attempts to condemn municipalities that have chosen to boycott products from the colonies. The Israeli authorities and their allies will not prevent actions being taken by other national authorities that are mindful of the rights of peoples, and mindful of their own citizens’ freedom to make ethical choices. 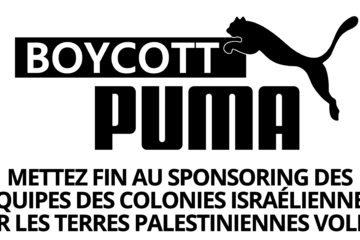 The motions adopted by the town halls of Bondy and Ivry display an exemplary stance that will be duplicated by other municipalities that are committed to international law, universal human rights and international solidarity with oppressed peoples, despite attacks by the friends of the Israeli apartheid regime. 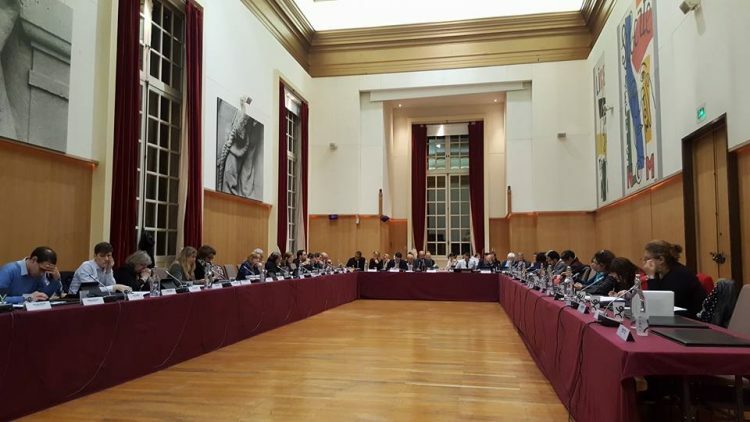 We therefore renew our congratulations and give warm thanks to the mayor of Ivry and to all the movements and political forces that voted for this motion. 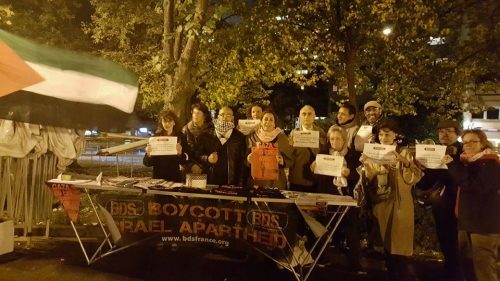 BDS France activists and other activists in solidarity with the Palestinian people, together with a large number of Ivry inhabitants, were present to support and warmly applaud this initiative.